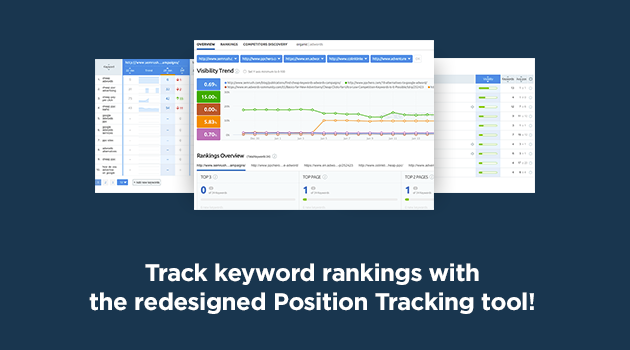 We are happy to announce the release of the newest version of the Position Tracking tool! Our keyword rank checker has gone through some massive changes recently, including a fresh design, and plenty of new features and improvements to data structuring in the user interface. To view these enhancements, go to SEMrush → Tools → Position Tracking, and open your existing campaign or create a new one. We are proud of this new release, and we hope you’ll like it as well! If you have any comments or suggestions, please send them to [email protected]. You can still view the Position Tracking tool’s reports in the old design by clicking the button at the top of the page of every report. However, we will remove the old version soon.